Our Preferred Vendor Partners are a select group that we engage every day, and they’re available to help our clients with anything they need done in, on, and around your home as well as local businesses that you can use and trust. The network includes electricians, plumbers, carpenters, landscapers, re-modelers, cleaners, designers, automotive care, plowing, animal groomers, veterinarians, gyms and so much more. Please feel free to browse our current Partners, and be sure to check back periodically as this list continues to grow. 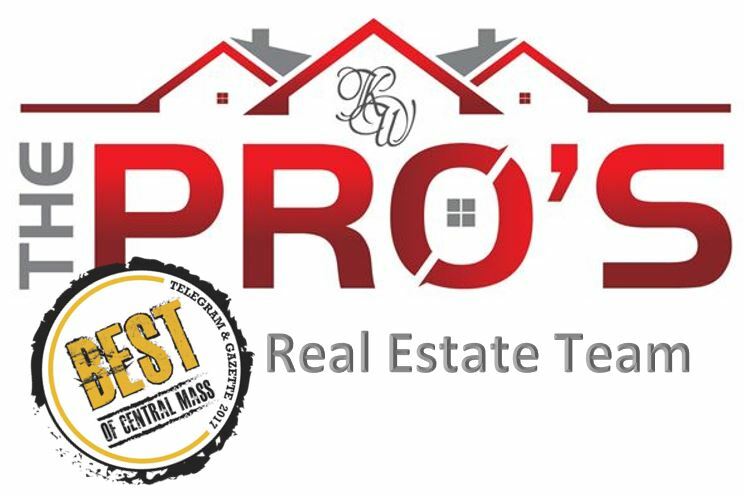 (1) – We, The Pro’s Real Estate Team and Tebo Properties Inc. d/b/a Keller Williams Realty Greater Worcester hereby certify that we receive no remuneration, financial or otherwise from any of the above firms it recommends to our customers and clients. Further, it is understood that he/she/they will make the final decision as to whom will provide their services and in the event that their services do not meet his/her/their expectations the will hold harmless The Pro’s Real Estate Team and Tebo Properties Inc, d/b/a Keller Williams Realty Greater Worcester. It is understood that the recommendations are being made as an accommodation only. The Pro’s Real Estate Team is excited to announce……. The Pro's Real Estate Team added a new photo. Hot Property Alerts! Sneak Peek! Each Keller Williams Office is Independently Owned and Operated. Information provided is deemed to be correct.